Indian Institute of Technology, Kharagpur will organise the Joint Admission Test which is commonly known as IIT-JAM on 10th February. For IIT JAM 2019, registration will be commenced from 1st September and will be ended on 10th October. All the students who want admissions to M.Sc, joint M.Sc-Ph.D, M.Sc-Ph.D dual degree, etc. programmes at Indian Institute of Technology(s) and integrated Ph.D degree programmes at IISc must apply before the scheduled last date. Educational Qualifications Required: The applicant must possess a bachelor’s degree from any of the recognised university in any discipline. The applicant must have scored 55% marks in the final examinations for that discipline. Required marks for SC/ ST and PwD category candidates is 50 per cent. Candidates who would appear for the final year examinations can also apply. Those who are interested and satisfying all the eligibility circumstances can apply online for the test through application process named JOAPS. Similar to the GATE 2019, there is no age restriction. During online submission of application forms, candidates have to upload their scanned images of photograph, signature and required enclosures. The computer based test will be conducted on 10th February in two sessions. Total three types of questions would be asked – Multiple Choice Questions, Multiple Select Questions and Numerical Answer Type (NAT) questions. Questions will only be positioned in English Language and three hours duration would be given to students to complete the examination. The exam will be of total 100 marks. 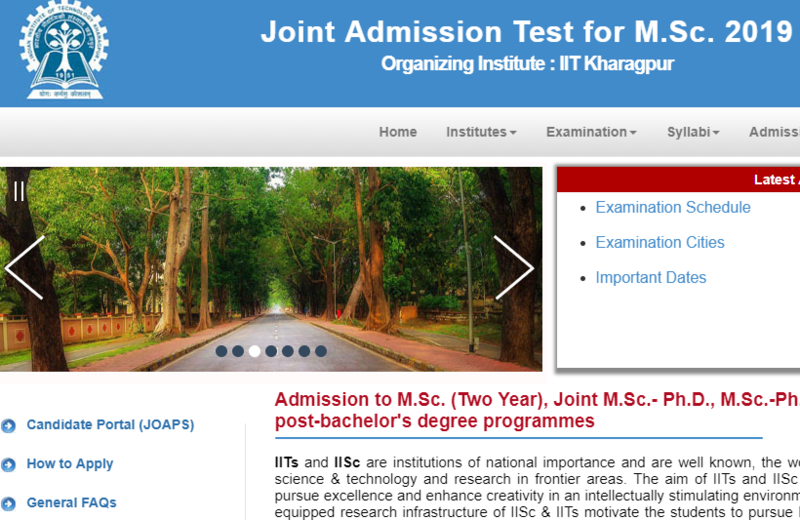 Joint Admission Test will be arranged for a total of seven subjects. Session I: From 9 AM to 12 PM for Biological Sciences, Mathematics and Physics. Session II: 2 PM to 5 PM for Biotechnology, Chemistry, Geology and Mathematical Statistics. It is compulsory for all the candidates to download their admit cards from the official websites. Without admit card, no one will be permitted to appear for the examination. Admit cards will be provided from 4th January. To assist aspirants in their preparations, the authority will also activate the Mock Test link on January 10. The result of the examination will be announced on March 20, as stated by Indian Express. Stay Tuned With ALL INDIA ROUNDUP.